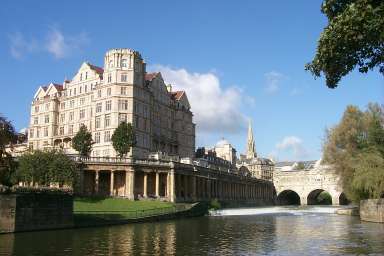 On Sunday we had brilliant weather again when we arrived in Bath. 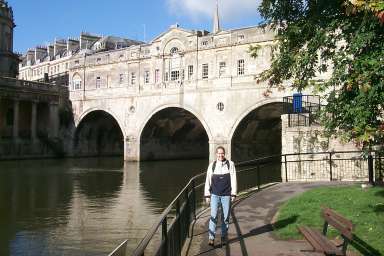 Our first stop was Pulteney Bridge, a bridge over the River Avon lined with shops. 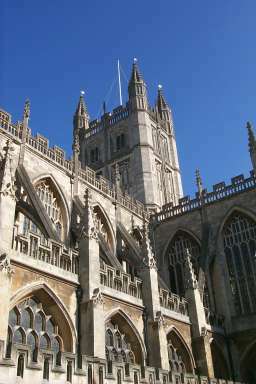 Passing Bath Abbey (left) we went to visit the Roman Baths, to which Bath owes it's name and fame. 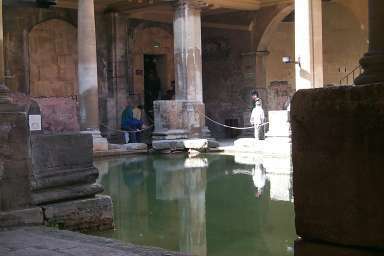 The Roman Baths were built around the hot springs, the only ones in the country. Above you can see the remains of the (originally covered) Great Bath. The pillars and terrace around it are a 19th century addition after first excavations were completed. During the tour around the complex you can learn and see quite a lot, not only about the baths but also about the temples and other buildings around it. 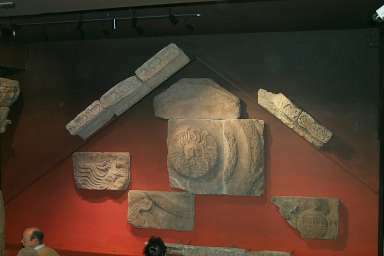 Below left you can see parts of a temple for the god Minerva. 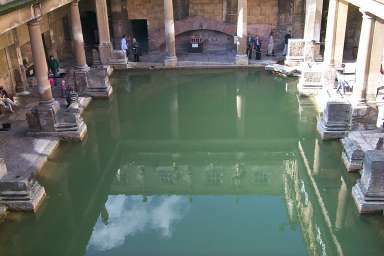 When you buy the ticket for the Roman Baths, you can buy a combined ticket which also includes entry to the Museum of Costume (which we did). On our way to the museum we walked a detour to enjoy some of the Georgian architecture Bath has a lot of.